If you are looking for new ways to sing the Bible’s song book (the Psalms) with your local church then NEW SCOTTISH HYMNS could have some answers. If you liked the version of Psalm 139 then click here to download and print sheet music. Great hymns speak timeless truths with profound passion. They unite the church, giving Christians words to sing that articulate afresh the glories of Jesus Christ. The New Scottish Hymns project seeks to reignite that spirit of Scotland’s great hymn-writing tradition, and uncover its treasures for a new generation. 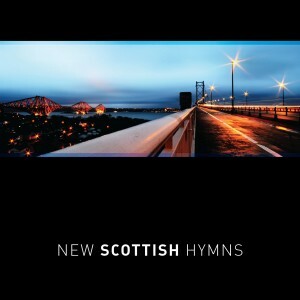 One aim of this album was to introduce some new songs that churches in Scotland might find useful in their own unique worship services. Scottish traditional music and folk melodies have an adaptable quality that renders the best of them timeless. Paraphrases from the Scottish Psalter like Psalm 23 have been sung across the world for centuries, and it’s important to remind new generations that these ancient words of scripture remain profoundly relevant. Scottish writers like Horatius Bonar and James Montgomery showed that a wealth of transforming biblical truths could be taught and absorbed through songs, so we also wanted to introduce examples of their lyrics to new listeners. The motivation for making this hymns recording did not spring simply from a desire to create art. Hymnwriting is about making music firstly out of gratitude to Jesus Christ. With all our imperfections and limitations, Christians struggle to express anything more than an echo of His greatness, but we believe that this is a thing eminently worth sharing. For the person who finds this idea strange, it will hopefully make more sense as you listen! Our hope is that every listener might hear the joy that comes from the gospel: the good news of God’s saving and transforming love, made available to every person through his son. This entry was posted in Best Christian musicians, Church songs - shortlist, Glorifying God, Ministry training and tagged Church music, musical genres, Power of music, Psalms, worship. Bookmark the permalink.